Why is this the best reply? This is because in India, all income is taxable, unless it is specifically excluded. Most income is taxable, and must be reported in your tax returns. But it is important to note that some income is only taxable in part. In certain cases, income is not taxable at all. This article will help you determine your taxable income, and will explain the different tax slabs that apply to taxpayers. Before knowing how to calculate taxable income from salary, however, you need to first calculate your total income. First, tally your income from various sources. For example, let’s say you are a bank employee in Bangalore, earning a monthly salary. You own a residential property, from which you earn rent. You also earn from the sale of assets, equities. This comes under income from capital gains. 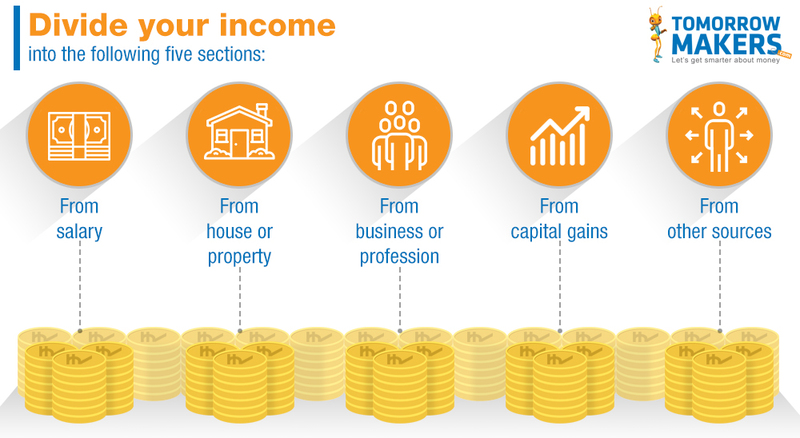 So, your total income is the sum of your salary, rental income, and capital gains. Next, subtract the tax-free earnings from the total income. These would be, for example, gains from equity shares if held for more than a year. You should also check your salary for taxable and non-taxable components. Fully taxable allowances include Dearness Allowance (DA), Overtime Allowance (OA) and city compensatory allowance (for those who move to metros like Mumbai, Delhi, Kolkata, and Chennai). Partly taxable allowances include House Rent Allowance (HRA), entertainment allowance, and other special allowances. Fully exempt allowances include foreign allowance (for employees who are posted in other countries), allowance of high court and supreme court judges, etc. - The actual rent paid is Rs 21,000 per month. This amounts to a yearly rent of Rs 2.52 lakhs. So, Rs 2.52 lakh minus 10% of basic pay comes to Rs 1.72 lakh. This is the lowest amount, and hence is used for tax exemption. What are the steps to determine your income tax slab? Calculate your gross salary by adding Dearness Allowance, House Rent Allowance, Transport Allowance, Special Allowance to your basic pay. Then deduct the exemptions of HRA, professional tax and standard deduction from the gross salary. To the arrived amount, add the extra income of interest, fees, commission and bonus, if any. Add other incomes such as capital gains and income received from renting of properties. Then subtract the basic deductions available under Section 80C, Section 80D and other deductions under Chapter VI A. The income arrived is net taxable income. 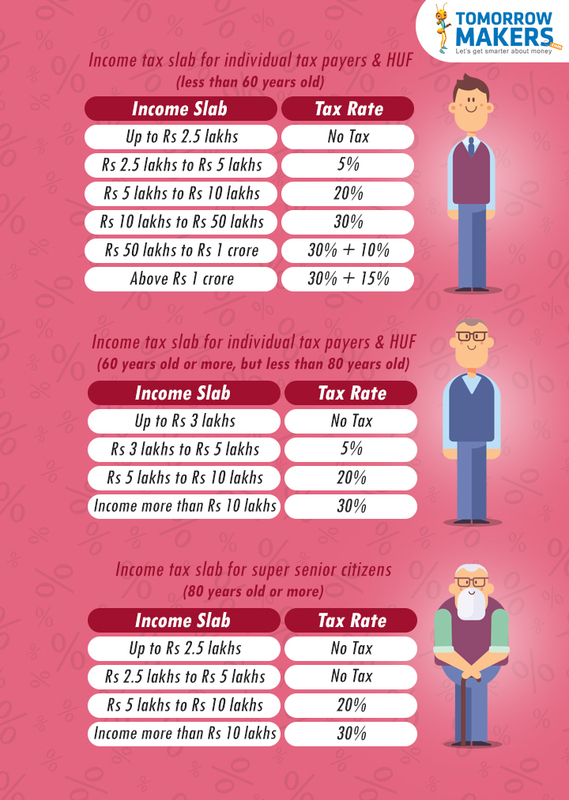 The income tax slab should be decided based on this final income. Finally, deduct the money you invest in various tax-saving options under various sections of the Income Tax Act like 80C, 80D, 80TTA, 80CCC, etc. Under these tax-saving rules, you can invest up to Rs 1.5 lakhs in investments such as life insurance plans, Public Provident Funds (PPF), National Pension System (NPS), Retirement mutual funds, equities, ULIPs and so on. Section 80D allows you to claim a deduction of up to Rs 25,000 on medical insurance premium you have paid during the year for self, spouse & children. This includes a tax exemption of Rs 5,000 that you can avail on preventive health check-up. Under section 80TTA, you can claim an exemption of Rs 10,000 on interest received from saving account deposits. This is applicable only to individual taxpayers and Hindu Undivided Family (HUFs). Now, you can calculate the taxable income under Indian IT laws using the current, applicable tax rates. Related: How much do you know about taxes? Let us see how to calculate tax using an example. Manish is a software employee. He earns Rs 9.5 lakhs per year. During the year, his income from a savings account is Rs 10,000. He has a fixed deposit (FD) that gives him an annual interest income of Rs 12,000. He also invested Rs 50,000 in Public Provident Fund (PPF) and Rs 20,000 in tax-saving mutual funds. Over the last year, he paid a premium of Rs 80,000 for a life insurance policy, and paid Rs 10,000 for medical insurance. So, Manish pays an income tax of Rs 75,087. Manish’s Gross Taxable Income = Rs 9,72,000–1,70,000 = Rs 8,02,000. Knowing all this will help you understand exactly how your income is taxed, and with careful planning, you can even help you save on your taxable income.Manish is a salaried individual. Had he been a professional or business owner, he would have to file his income taxes in a different way. For example, professionals can deduct expenses directed towards their work, like car expenses. This can be deducted from the taxable income. Business-owners, meanwhile, should conduct a tax audit first by a qualified chartered accountant. Only then should they file their income tax returns.